As The Jay and Rose Phillips Family Foundation of Minnesota re-imagines its strategic plan for the next five to ten years, it is clear they are going full-on design thinking to both engage community partners in strategizing with them and in re-designing their grantmaking processes. Design thinking is a human centered approach, requiring humility and curiosity from grantmakers wanting to put it into action. 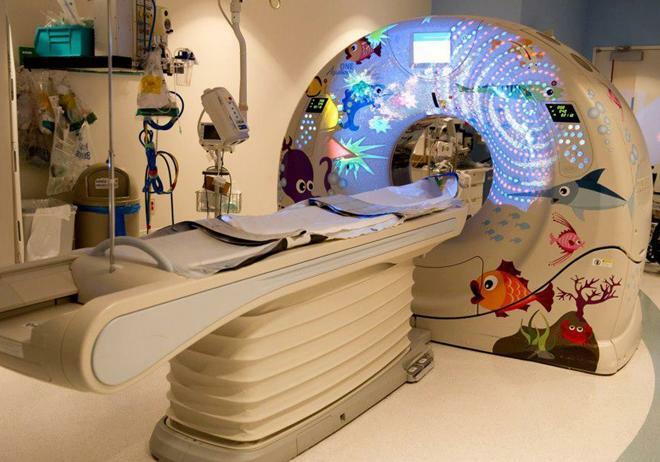 After learning that 80% of children had to be sedated before an MRI, an innovation architect at GE Healthcare used design thinking to re-make them into whimsical ride-like experiences. Sedation rates dropped to less than 8%. The most important step in the design thinking process is empathy. Design thinkers need to slow down long enough to get in touch with the end user’s experience. Then, engage them in solution building. This can be done through interviews, observation, immersion or exploration that allows for new opportunities to gather data and insights about the end-user’s behavior and what they value. Only after this humble inquiry can one truly begin to generate a hypothesis of what the end user might need. This leads to the second and crucial step in design thinking which involves re-defining the challenge with new information and possibility. The goal: Define the right problem to be solved that invites creative solutions. It’s about problem-framing first and foremost, not solution-finding. Key elements in ideation are multiple perspectives and teamwork. Answers are collected and many solutions, both possible and seemingly impossible, are developed. The ideas are then narrowed into one strong solution, and supporting solutions can be woven in. Design thinking is not about focus groups or research – it is about defining the problem and developing solutions alongside community and those most impacted by our funds, rather than in isolation from them. It requires deep and authentic engagement with community to co-design strategies and solutions to deeply entrenched issues. As part of the Phillips Family Foundation strategic planning process, funders were invited to a day of learning with a 90-minute design challenge that involved a full-design cycle. The Design Sprint Workshop was facilitated by Amy Batiste, Creative Catalysts, and Libby Rau, Youthprise, The workshop employed the same idea as a running sprint— full speed ahead for a short period of time. During the first phase – Empathy – participants paired up, interviewed each other, identified real needs and developed solutions to redesign an experience for a local nonprofit. Listening is key, as it allows for follow-up questions, clarification and feedback – all important components of developing a strong solution. The best solution from each group was then sketched or diagramed and brought back to a group of five, who looked at all solutions and developed one strong solution that was presented to the client. Parts of all solutions can be incorporated in the prototype stage to create an even stronger solution. Even the strongest solution can be fragile in its infancy, so the solutions require prototyping, where a handful of promising results are embraced, cultivated and implemented into workable ideas. This process can be refined over time by generating new hypothesis, implementing ideas, collecting feedback, learning from mistakes and successes and so on. Prototyping embraces a culture of exploration and experimentation. “If done well, design thinking takes time and intentionality,” says Patrick Troska, executive director of The Jay and Rose Phillips Family Foundation of Minnesota. He acknowledges that although philanthropic professionals might never get it completely right, they can do much better when designing funding strategies. Patrick sees design thinking as a space for creative thinking where all kinds of interesting ideas emerge. But first, he calls on grantmakers to trust the process and the fact that end users - or those communities benefiting from philanthropic funding - know what is best for them. As the Phillips Family Foundation staff and board engage in this process, they have issued an invitation to other funders to walk this journey with them through conversation and participation in each other’s design thinking processes, when and where it makes sense. Design Thinking was introduced at the Minnesota Council on Foundations 2015 conference Impact by Design and recapped in the spring issue of Giving Forum. Design thinking matters because of its ability to generate transformational change and get to the root of outdated funding practices and processes that often fail to address the challenges that shape our current realities. For more information, see Design Thinking Philanthropy at designthinkingphilanthropy.com. Working Moms: Can We Have It All? We're happy to have Kaitlin Frick as a new member of the MCF team!